The mission of the School of Interdisciplinary Informatics is to provide students and faculty the opportunities to pursue their passions, to use technology in all its facets, and be transformative. We collaborate to deliver individualized education, world class research, and immersive experiences to create and harmonize knowledge from multiple disciplines. The four degrees that are offered by the School – Cybersecurity, Bioinformatics, Biomedical Informatics and IT Innovation – all have two very important common characteristics. First, they each have interdisciplinary components in their curriculum. Second, they rely on working collaboratively with other disciplines and the community. These career areas have tremendous growth potential over the next ten years according to the Bureau of Labor Statistics. The new school is poised to be a key driver in taking the College of IS&T to the next level. The school will be a hub for technology innovation for undergraduate and graduate students. It will provide opportunities for collaboration with other disciplines through sharing curriculum and collaborative applied research. It will be an "IT solution finding" resource for our community partners in the areas of cybersecurity, healthcare, bioinformatics, public health informatics, business and government. The school provides a unique opportunity for undergraduate students to integrate education, research and outreach in their college experience. For example, many students have been involved in a public health informatics project that focuses on providing an emergency response system for public health laboratories. Students are able to earn academic credit working on this project as well as have opportunities to do research and publish papers. Faculty also engage students with community partners through our service learning initiatives. Students have worked with the Douglas County Correctional Center, KIDS Can!, Alegent Health, Douglas County Health Services, and Nebraska Family and Children Services to name a few. These initiatives are a win/win for everyone involved-- for the students, for the community partners and for the schools, and ultimately they have a positive economic impact that flows throughout the Community and the State. 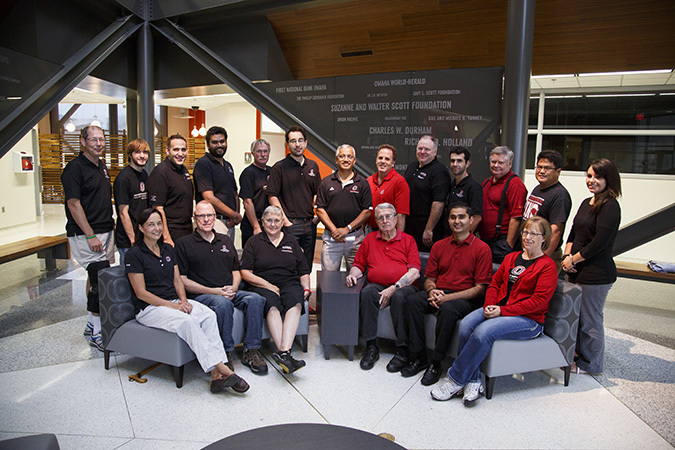 The School of Interdisciplinary Informatics reflects the role and mission of UNO's College of Information Science & Technology, The Peter Kiewit Institute, and the University of Nebraska at Omaha in a number of ways. It is a direct response to the opportunities and challenges presented by information technology as it relates to economic growth for the state and region in applied IT areas such as medical informatics and cybersecurity. The school allows the enhancement and fostering of new educational, research and creative activities by bringing together practitioners, researchers and students in interdisciplinary fields of importance to the state and the University. 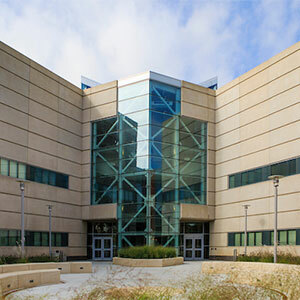 The school is unique in the country and will lead to increased national visibility of the University of Nebraska in the area of interdisciplinary applications of information technology. help to develop the next generation workforce to address local, regional and national needs in exciting new interdisciplinary domains.